March is Nutrition Month and that means it’s the perfect time to take a good, hard look at your eating habits. The first step is eliminating all those “bad” foods – especially the ones you mistakenly believe are healthy. In its purest form, yogurt is good for you because it contains healthy cultures like L. acidophilus, which is great for your gut. But chances are the fruity yogurt in your fridge is also packed with sugar — a definite diet no-no. Instead, swap it for plain yogurt and add your own fresh fruit for flavour. Granola is a staple among outdoorsy types, and there’s a reason for that: It packs a calorie punch. At 600 calories for a cup of homemade granola, you’ll have to do a lot of hiking to burn that off. Lean meats like turkey and chicken can seem like a dieter’s staple, since they’re so low in calories and carbs. 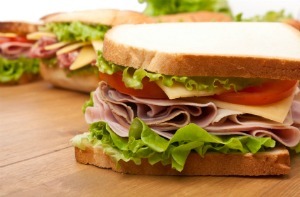 But watch out — processed lunch meats are often loaded with sodium and preservatives. Look for varieties that are free of nitrates. Juice and its popular sister drink, the smoothie, can seem like a great way to get your fruit on the go, but be wary — most juices and smoothies are packed with tons of sugar that will pad your waistline over time. Plus, they won’t keep you full like fresh fruit in its solid form will. 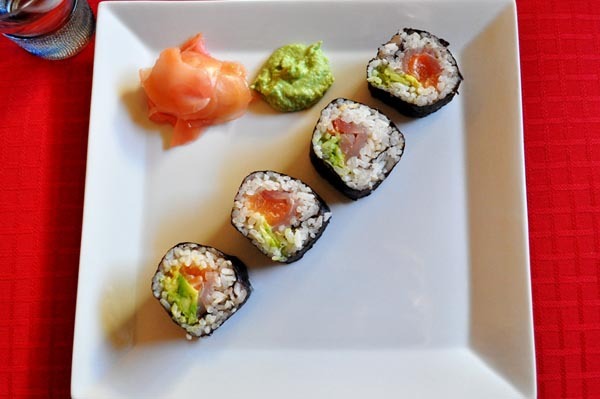 This Japanese staple might seem like a low-cal option, but in North America, sushi rolls are often loaded with unhealthy, cream-based dressings and fatty additions, like tempura (which is deep-fried) and mayo. If you’re looking to have a traditional, low-calorie Japanese meal, order the sashimi instead. Hearty, filling soup is usually considered a healthy choice, but unfortunately, that’s often not the case. Cream-based soup is loaded with calories and fat, and canned soup is extremely high in sodium. If you’re a soup lover, consider making your own in your slow cooker, and go easy on the salt and fat. It seems counter-intuitive, but several studies have found that instead of helping you lose weight, low-fat and fat-free foods can actually cause weight gain. 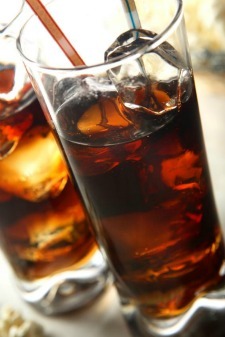 Diet soda is particularly bad for you — a study done last year at the University of Texas found that drinking diet soda actually lead to an increase in sugar cravings, which caused weight gain over time. Avocados are, in fact, good for you — they’re full of healthy fats, fibre and vitamin K — but if you’re counting calories, you should be careful around the guacamole. One avocado can have up to 300 calories and 30 grams of fat — that’s as much as a McDonald’s cheeseburger.